Despite the etiquette, formality, and inevitable fear factor, job interviews can actually be enjoyable as well as extremely informative. In an interview, where you and the prospective employer begin a mutual relationship based on observation and communication, you have just as much power as the interviewer. So forget the high stakes and have fun. The focus for both sides should be on the immediate benefits you can add to and get from the company. Use examples, emphasize thought processes rather than results, and turn negatives into positives. Be ready to rattle off your achievements and how your current projects fit in with the goals of the prospective employer. Research industry trends and know where the company excels and where it might need your talents. Use media, reference books and sites, and your contacts in the industry. Do enough research to speak authoritatively during the interview. Look at the company's recent stock price if it is publicly traded. Find out its values through the mission statement and the recent comings and goings of its executives. Keep current on relevant news and check for late-breaking events that could affect the business. * Screening interviews narrow the applicant pool. You might be screened without knowing it, in person or otherwise. Career fairs, for example, provide screening opportunities. Job applicants might also be screened by phone. * Electronic or phone interviews may be used when you are relocating. Treat virtual interviews as if they were face to face, even if you are in your pajamas. Keep any materials you might need for the conversation at hand. * Sequential interviews, where you visit different interviewers one after another within a company, are the most common. Treat each interview as though it were the first. * Panel interviews, where you face a panel of interviewers, or group interviews, where multiple candidates are interviewed at once, are less common but might also occur. Interviewers will probably ply you with questions about your education, experience, skills, and long-term career goals as they look for the following. * Confidence without arrogance. 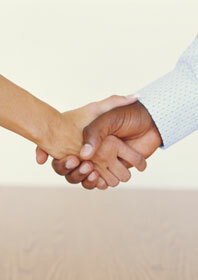 Show you work well with others as equals while exhibiting the confidence and assertiveness of a self-starter. * Reason. The prospective employer looks for how well you process information. * Communication. The interviewer looks for social savvy, small talk, and interpersonal ability with coworkers. * Success. Show how you have used your skills by providing measurable statistics and explain the thought process behind your actions. * Organization. Show your level of organization by your dress, manner, and coordination handling the papers and equipment you bring to the interview. * Enthusiasm. Let how much you want the job shine through and add a positive spin to negative situations. Interviewers might pose behavioral questions to get an idea of how you might act in the office. Certain banking, finance, and consulting employers use case questions to test your analytical skills. Hypothetical questions offer a picture of how you might handle a situation you have yet to encounter. You may face these types of questions if you are interviewing for a job in a new industry or for one with more responsibilities. In stress tests, the interviewer fires a barrage of questions or problems at the candidate in stressful surroundings. These cases are less about what you do or say than about how you respond. Emphasize the process, not the result. If you feel a question is extraordinarily strange, ask for elaboration. Respond to the interview questions with articulate, focused answers but make sure to get some answers for yourself. * Ask about attitude and environment. If the interviewer shows you around, pay attention to the work environment. Listen to what employees say; notice how they dress and the relative diversity or homogeneity of the workforce. * Ask about training. Training programs help facilitate your transition into a new position. Look for companies willing to enhance your skills and knowledge, regardless of job level and tenure. * Ask about management. Ask about the relationships workers have with senior management and whether one department is held in higher regard than another. Find out whether your department has an advocate before senior staff or how strong an advocate you will be able to be. * Ask about time, travel, and relocation. Find out the time commitment expected from you. Ask whether the company expects you to travel or relocate and whether they will reimburse you. * Ask about promotions and reviews. A good rate of promotion is 18 months to two years. Performance reviews, which may include a raise, should take place once a year. * Ask about compensation. The interviewer is likely to cover this topic eventually, but make sure all your questions are answered. Does the company pay competitive salaries in general? Does it offer cash bonuses, stock options, paid holidays, and gifts like meals and tickets? * Ask about turnover. If employees are leaving in droves, you know something is wrong. Workers may be dissatisfied with their pay, management, or work culture, or there may have been layoffs. Ask whether the company is in talks on acquisitions or mergers. Find out about any current litigation and its possible impact. The interviewer will contact you about the job if the company is interested. Ask how long you can expect to wait. Contact the interviewer in the interim if you have questions or for additional materials or references. But the decision will depend mostly on your interview. Do your best to leave a great impression.